A complete line of car detailing products to clean, detail and protect your car inside and out. Specially formulated, professional automotive cleaning and detailing products; manufactured with the highest quality materials for the maximum output. Makes automotive detailing quick and maintaining a beautiful looking vehicle easy with our biodegradable, high performance car cleaners; giving more time to show off the ride because less will be spend on cleaning. Go beyond cleaning and advance into showroom perfection for the ultimate in automotive care. Environmentally friendly, non toxic, non aerosol car cleaners. An entire collection of automotive detailing car cleaners that provide excellent protection: Wheel Cleaner, Tire Shine, Car Wax, Spray On Wax, Engine Degreaser, Headlight Restoration, Paint Restoration, Liquid Wash and Tire Cleaner for your entire vehicle, car or truck. Is a high alkaline cleaner that serves as a degreaser and stain remover. Our break and dust cleaner can be used to clean trucks and get rid of brake dust and soap scum. Effective cleaner and fast acting. Our Xtreme Interior Shampoo is an industrial strength, water-based, biodegradable, dilimonene cleaner. BioTech Upholstery and Carpet Shampoo is an industrial strength, non-toxic shampoo that remarkably cleans cloth, vinyl and leather. 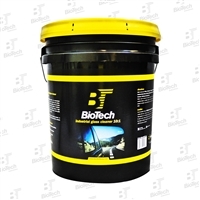 BioTech Wheel Cleaner Acid is designed to clean grimy and rusty chrome and wired wheels. Quickly penetrates and removes. Created to work like a strong acid. This is a non-acid, with no harsh effects that works great on wheels. BioTech Industrial Glass Cleaner 10:1 is a concentrated high quality glass, window, and mirror cleaner with alcohol. Formulated to quickly penetrate dust, grease, soil and smoke. Foamer Wash & Wax is a highly concentrated cleaning power of citrus soap with high-tech glossing agent that really makes paintwork clean and shine. Foamer Wash & Wax has always been a favorite of professional detailers Is the ultimate contractor strength formulated to eliminated everything on its way, it is the product to use when everything else fails. The ultimate in water soluble degreasers, more than twice the strength of other cleaners. It makes your job unbelievable easy. Carnauba is a natural cleaner with incredible protective features. 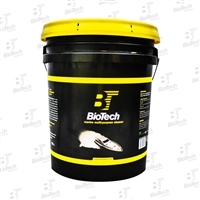 Its superior compatibility with water allows it to retain oil and maintain gloss BioTech Marine Heavy Duty Degreaser is a high alkaline, solvent base extra heavy duty industrial cleaner. Formulated for use at low to medium range dilutions. May be used in auto-matic scrubbers. Is a high alkaline cleaner that serves as a degreaser and stain remover. Our break and dust cleaner can be used to clean trucks and get rid of brake dust and soap scum. Effective cleaner and fast acting. Our Leather Conditioner Cream will clean and condition leather surfaces and leave a clear, non-slippery protective coating. Contains natural oils to condition and preserve the like new appearance of leather. Carnauba is a natural cleaner with incredible protective features. Its superior compatibility with water allows it to retain oil and maintain gloss Our Xtreme Interior Shampoo is an industrial strength, water-based, biodegradable, dilimonene cleaner. The super high concentration of this formula allows for maximum dilution ratios which makes this product the number one choice for automotive interior cleaning. Our Wheel Cleaner is designed to clean grimy and rusty chrome and wired wheels. Quickly penetrates and removes. Created to work like a strong acid. This is a non-acid, with no harsh effects that works great on wheels. Premium Lacquer Thinner is an effective high-solvency thinner for lacquer and most epoxies. It is excellent to thin automotive lacquers, including acrylic undercoats and acrylic lacquer topcoats. It Helps improve the flow and leveling when applying lacquer so your finish is smooth and streak free. This product has a slower evaporation rate the traditional lacquer thinner, providing better gloss results during conditions of high heat or humiduty. It also effectively cleans brushes, rollers, and spray equipment after use. Specially Formulated to deep clean against road film grease and grime. Composed of a blend of synthetic detergents that penetrate easily in to any hard to clean surface. Concentrated for economical and long lasting use. BioTech Florida Power Solvent Cleaner is a 100% biodegradable citrus solvent, super concentrated multipurpose cleaner and contains no petroleum distillates. Is the ultimate contractor strength formulated to eliminated everything on its way, it is the product to use when everything else fails. The ultimate in water soluble degreasers, more than twice the strength of other cleaners. It makes your job unbelievable easy. Works great on the toughest stains on almost any surface. Makes it suitable for a wide range of cleaning and applications. Can be used on any surfaced that is not damaged by water. User friendly, no rinsing is needed, biodegradable and USDA approved. BioTech Industrial Glass Cleaner 10:1 is a concentrated high quality glass, window, and mirror cleaner with alcohol. Formulated to quickly penetrate dust, grease, soil and smoke. Foamer Wash & Wax is a highly concentrated cleaning power of citrus soap with high-tech glossing agent that really makes paintwork clean and shine. Foamer Wash & Wax has always been a favorite of professional detailers BioTech Multi-Purpose Cleaner is a non abrasive grease buster. This product has the ability to not only clean the dirtiest of jobs but also shine and protect.